My favorite project from Cute & Cozy Stashbusters is the Fibonacci Shawlette. The graphic stripes give ample opportunity to play around with color. Knit in garter stitch with simple shaping, this project is perfect for intermediate knitters or beginners looking for a larger project to conquer. This mini colorwork delight is topped with the cutest multi color pom pom! The pattern is both charted and written making this project easy and fun to knit. 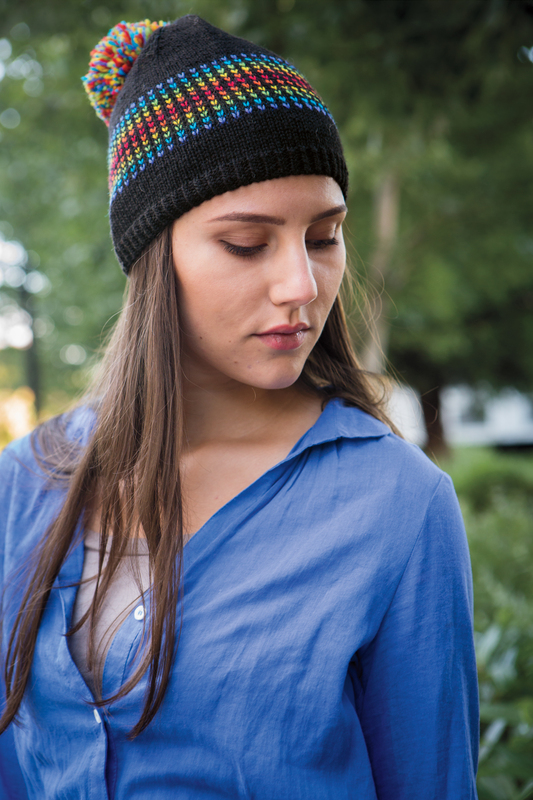 Use your stash and make the Dots Dots Dots Hat as gifts for everyone on your list! The Frosted Mittens are the perfect cold weather accessory! Knit in Alux, our sparkly Baby Alpaca and Lurex yarn with playful zig-zags, these mittens will brighten any dreary Winter day. The pattern also includes a fingerless mitt version! Grab your stash and order this book to get a jump start on your Holiday knitting! The post Cute & Cozy Stashbusters appeared first on KnitPicks Staff Knitting Blog.